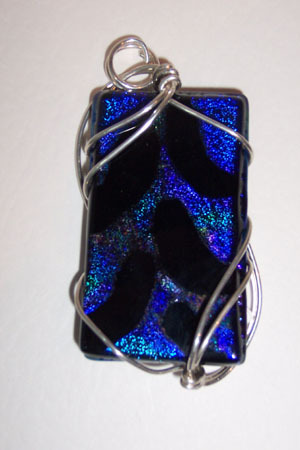 Dichroic glass pendant featuring deep violet-blue, turquoise and subtle green with black pattern. Sculpted in sterling silver. Nice eclectic piece. Measures2"x1'.